It is widely accepted by most businesses and professionals that Value Added Tax is possibly the most complex tax in the UK tax system. It is probably also the most reviled tax in the UK system! The complexity arises from the ever nature changing nature of the tax, the fact that it often does not mirror the rules for direct taxation and the often subjective nature of its’ application. 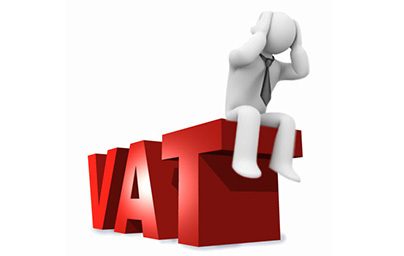 InnoVATion VAT Services Limited is the solution. InnoVATion VAT Services Limited will enable businesses and their advisors to successfully navigate their way through the maze of VAT guidance, Regulations and legislation, minimise the risk of errors and maximise VAT planning opportunities. For most of my clients, speed of response in a priority. It is often the case that I am approached when an issue has progressed to a critical stage with HMRC and it is imperative that advice can be obtained at short notice. I understand that need, and strive to ensure that you will receive a response to an enquiry within 24 hours of receipt. Providing a professional service is vital to my business. I have been involved in providing VAT advice for over 40 years at a senior level, both within HMRC and the accountancy profession. The advice I give is based upon that experience, supported by the latest technical information available and backed by my own Professional Indemnity Insurance. Clients can therefore feel confident that that are getting a high level of professional advice. It is vitally important that my clients feel able to rely not only upon the advice I give, but also on the fact that they can trust me to be practical and commercial in my approach, and also that I will deal with client issues with integrity and confidentiality. This forms the cornerstone of my services. I do not want my clients to worry about picking up the phone when they have a problem. So, in most cases I do not charge for any verbal enquiry that takes no more than 15 minutes to resolve. This covers a large number of the enquiries I receive. In all other cases, I will provide a fee quotation up front so that this can be agreed in advance of the work being performed. 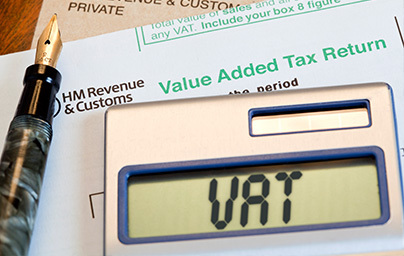 InnoVATion VAT Services Limited is established in Droitwich in Worcestershire. It provides VAT advisory and consultancy services to accountants, solicitors and other professionals, and their clients, across the whole of the UK. It also provides these services direct to businesses. In these days of internet communication, location is no longer an issue. I have clients not only in the West and East Midlands, but in London and the South of England, Northern Ireland, Wales and all over the rest of the UK. What is important, I have found, is the right service at the right price. No jargon. No fuss. No problem. Click below to download the latest information from our brochure.